As a company born and raised in the greater Reno/Tahoe community our impact on the local economy and environment has been foundational to our business model. Coverings has developed and implemented several sustainable components within its manufacturing, shipping, and laundry departments in an effort to create a positive effect on the environment. 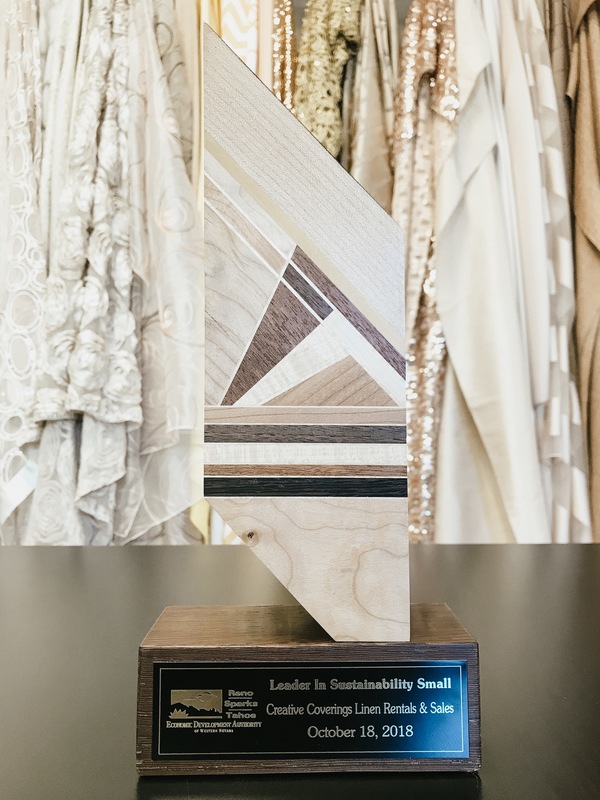 We are honored to have been awarded ‘A Leader in Sustainability’ by the Economic Development Authority of Western Nevada (EDAWN) and will continue to build upon our green initiatives and remain dedicated to reducing our carbon footprint… one tablecloth at a time!